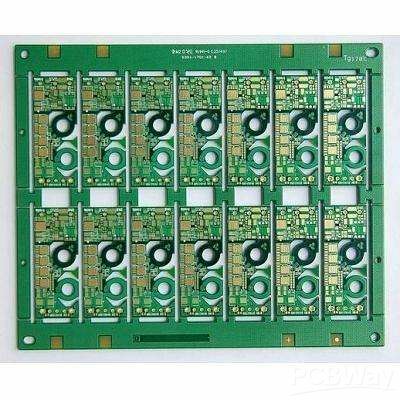 High density interconnect (HDI) PCB, represent one of the fastest growing technologies in PCBs. Because of its higher circuitry density than traditional circuit boards, the HDI PCB design is able to incorporate smaller vias and capture pads, and higher connection pad densities. HDI Boards contain blind and buried vias and often contain micro vias of 0.006 or less in diameter. By using HDI technology, designers now have the ability to place more components on both sides of the raw PCB if desired. Now as the development of via in pad and blind via technology, it allow designers to place smaller components closer together. This means faster transmission of signals and a significant reduction in signal loss and crossing delays. HDI PCB is regularly found in mobile phones, touch-screen devices, laptop computers, digital cameras, 4G network communications, also prominently featured in medical devices. The most common reason for using HDI technology is a significant increase in packaging density. The space that obtained by finer track structures is available for components. In addition, overall space requirements are reduced will result in smaller board sizes and fewer layers. Usually FPGA or BGA are available with 1mm or less spacing. HDI technology makes routing and connection easy, especially when routing between pins.